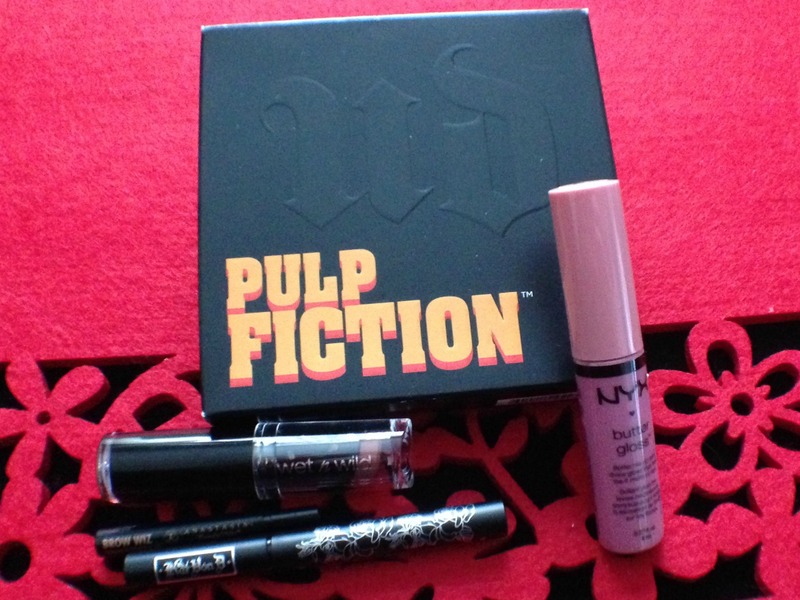 Just a quick little swatch-fest this morning of the Urban Decay Pulp Fiction Palette from my most recent giveaway win pictured below. 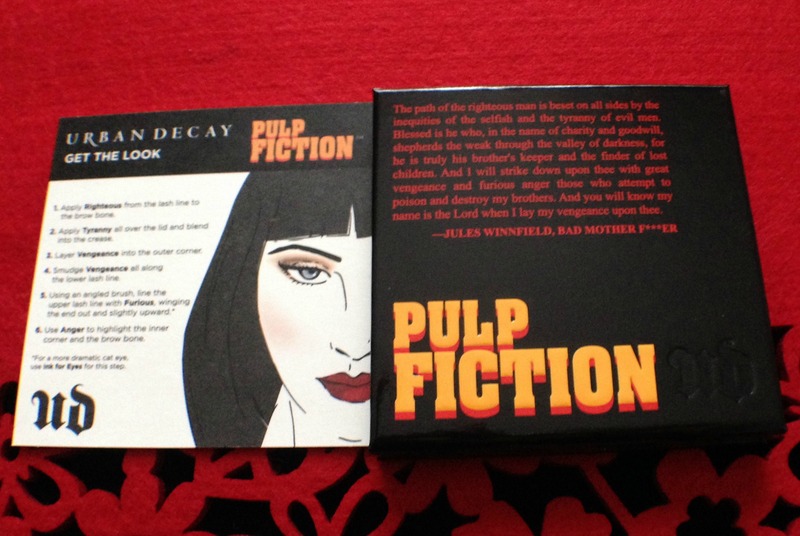 Inside the cardboard sleeve is the palette itself and a tutorial card to get the Mia Wallace look. 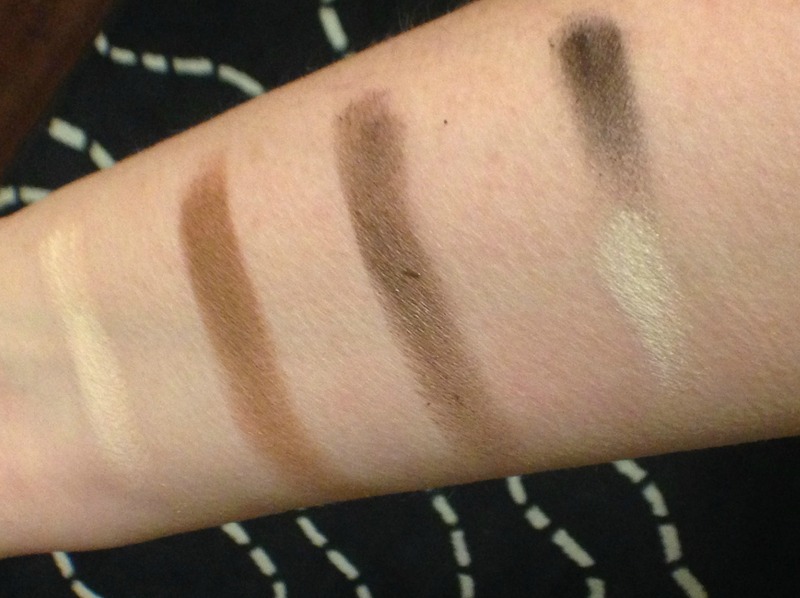 Now onto the swatch-fest – all were swatched over Concrete Minerals Electric Eye Primer, and photographed without flash. 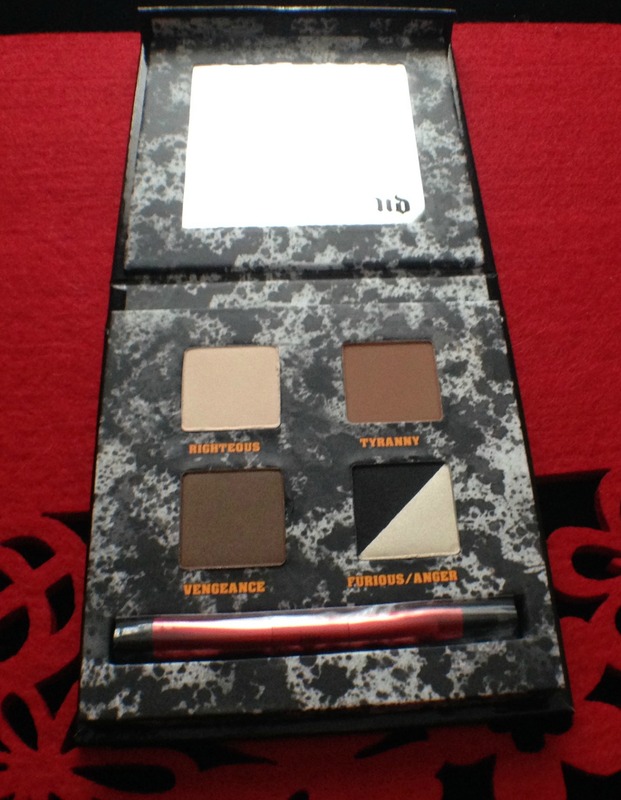 As you can see, this palette is highly pigmented and the shades are very wearable. 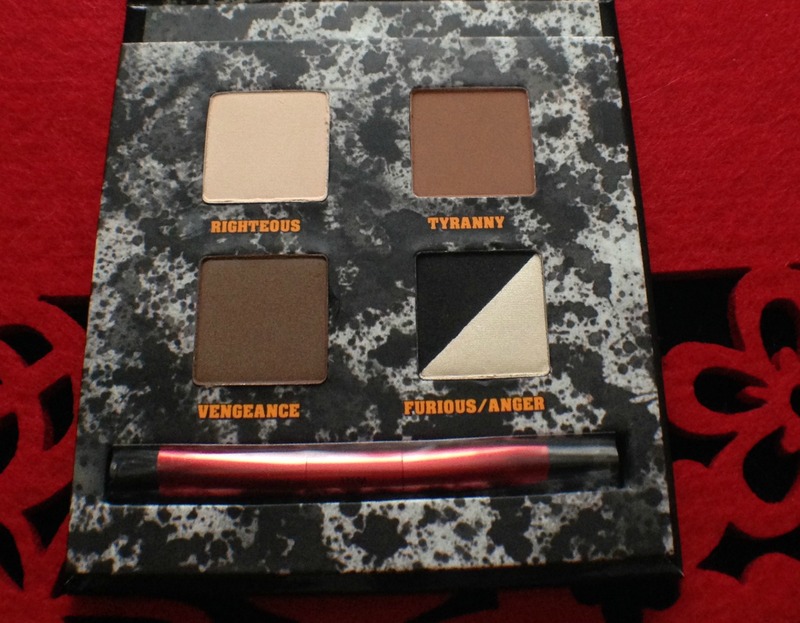 Disclosure: I won this palette in a personal blog giveaway. 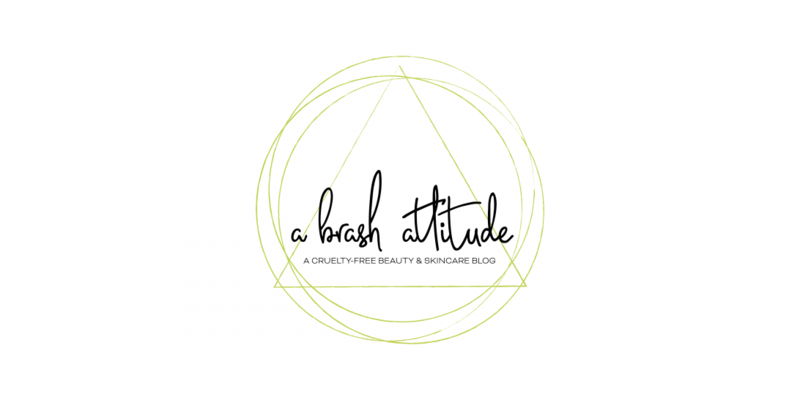 < Can you believe that I’ve won two more giveaways? 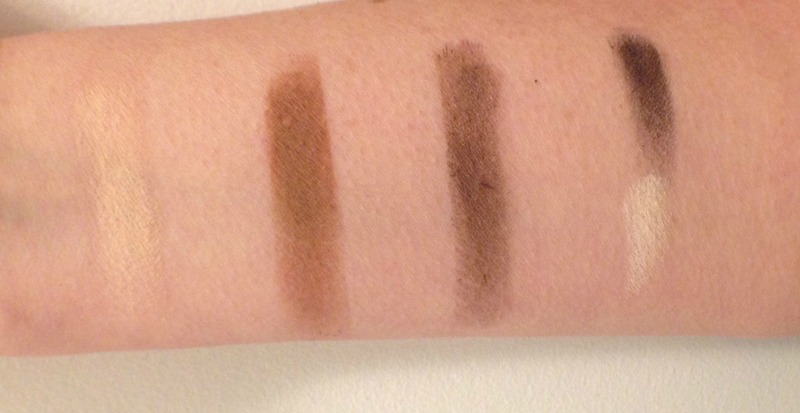 It is so nicely matte and wearable – only the white shadow seems to have any shimmer – and it is subtle. Among all, I love the duo shade of champagne and black shade and it looks so gorgeous too. Is it great? I love it already!